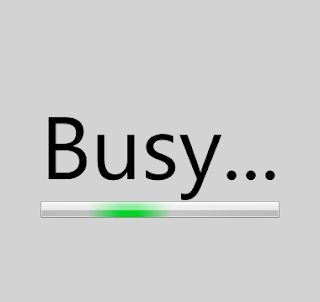 Orthodox Societies: Are you BUSY? "We can't even keep them from forming an intimate relationship with their savior." BUT steal their time, so they don't have time to develop a relationship with Jesus Christ." "Distract them from gaining hold of their Savior and maintaining that vital connection throughout their day!" "Entice them to play on their radio or cassette player worldly songs whenever they drive." "To keep the TV, VCR, CD and their PCs going constantly in their home broadcasting non-biblical songs and films." "To see to it that every store and restaurant in the world plays non-biblical music constantly." This will jam their minds and break that union with Christ." "Give them Santa Clause to distract them from teaching their children the real meaning of Christmas." "Give them an Easter bunny so they won't talk about his resurrection and power over sin and death." "Keep them too busy to go out in nature and reflect on God's creation." "Send them to amusement parks, sporting events, plays, concerts, and movies instead." It will work!" "It will work!" Please do not be BUSY for God. May God Bless you all.